Do you have the patience to set up your nVidia card properly? Our very own SYN_Jedders has done all the hard work optimizing already, so you just have to follow these directions. Seriously, my cockpit needed a good steam cleaning after Jed walked me through this nVidia set up, and I only have a 560Ti 2 GB card. Your mileage may vary though... Be warned, it has several steps, but nothing to worry about and definitely worthwhile spending the 3-5 minutes to set up. Also, before you start, take screen shots of your current GFX variables so you can return to them. This is for your own good; we cannot take responsibility for these settings if you need to return to your old ones. That said, I am confident that you WILL see an improvement, so much so I spent the time to pull these screenshots together and compose this tutorial. 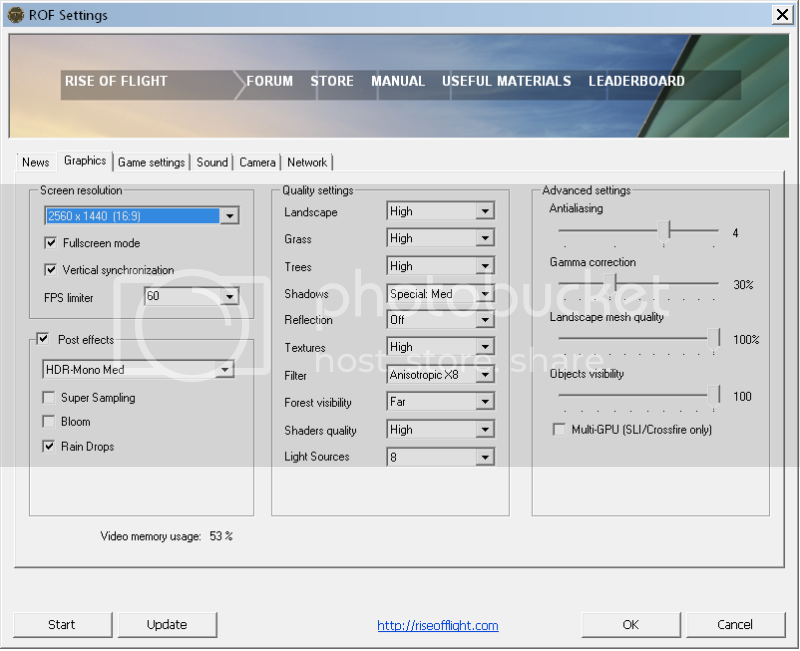 Download and install nVidia Inspector http://www.guru3d.com/files_details/nvidia_inspector_download.html. Guru3D is a very reliable source. nVidia Inspector can be placed anywhere on your C:\ drive, makes no registry entries (that I know of), and is a simple drag-and-drop uninstall. Below is a screenshot of Inspector when you open it. Click on the tools icon (red oval) to open the elevated (more advanced) profile settings window, and move on to step TWO. Below is the default screen for GLOBAL_DRIVER_PROFILE when you click on Inspector's tools icon. On the top menu/tool bar, click the green nVidia icon 3rd from the left (red oval); this will "Restore current profile to NVIDIA defaults", just to make sure you are starting with a clean slate. Now click "Apply changes". Click the down arrow beside the 'Profiles' window to the top left, and navigate to the 'Rise of Flight' profile, select, and click. Below is the complete list of all graphics variables assigned to RoF. Save the PNG image linked below if you like, or use the blue slider here to scroll and please take the time to ensure your entries match every line here. Change entries to these if they are different (a few will be your own choice -- SLI settings for example...), then 'Apply Changes' to the right. If you are not registered on this forum you cannot see the attached Profile below. Open nVidia Control Panel (CP). 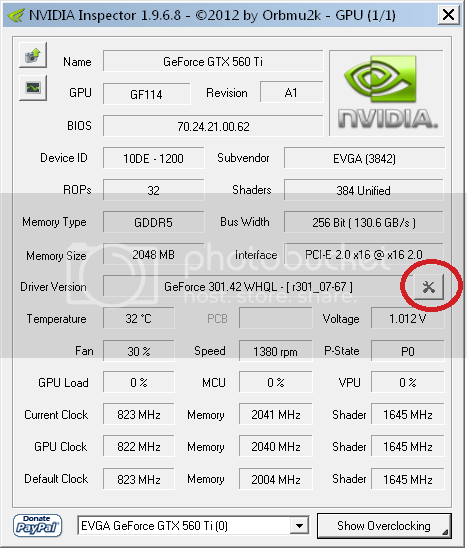 Some advanced users choose not to install the nVidia control panel, and in fact nVidia provides the drivers separate from the CP (I believe), so if you consider yourself 'advanced', go ahead and download/install CP anyways because it is critical to resolving an issue that will become apparent. Look at screenshot below. 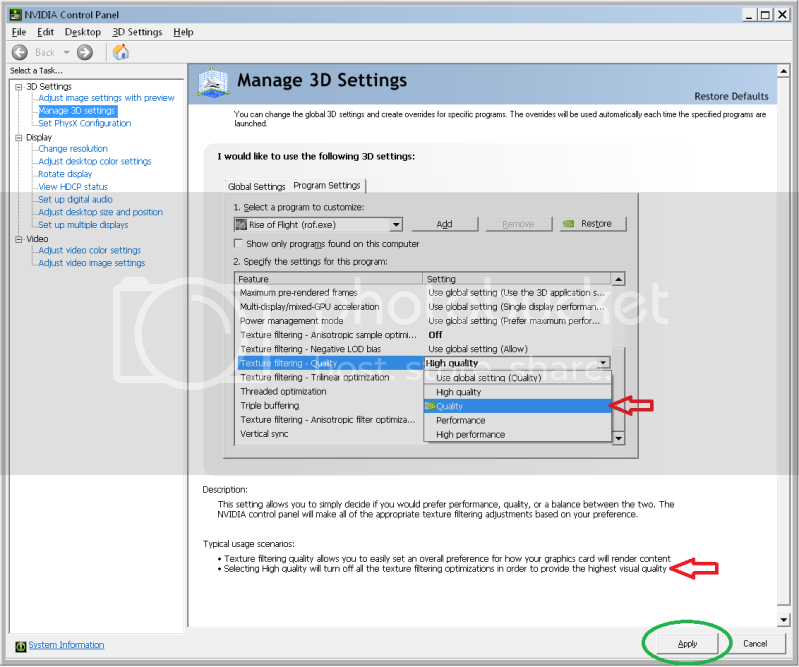 Choose 'Manage 3D Settings' to the left, and then choose 'Program Settings' tab in the centre (red oval). 'Select a program to customize' and navigate to ROF.exe (large red oval). THIS IS IMPORTANT make sure it is the actual ROF.exe file, not the settings executable. *You must first choose 'Quality' under the 'Texture filtering - Quality' option (red arrow next screenshot below) and then click 'Apply' at bottom right (green oval). Only then can you set 'Texture filtering -Anisotropic filter optimization' to OFF, then click 'Apply', and it will be saved. THIS IS CRITICAL. Now, after applying the change (and just to really blow your mind), you must go back to 'Texture filtering - Quality' option and reset it to High Quality. Then click 'Apply' again. That extra option is still there, right? Now you can close CP and Inspector. The settings you've made will engage when rof.exe is running. Just to be safe, you should make a desktop shortcut to rof.exe and run Rise of Flight from that shortcut, rather than the RoF settings menu which many of us used to do before. Go to C:\...\Rise of Flight\data\startup.cfg and open it with Notepad. After making the change to Saturation identified below with <<<<, 'Save As' and replace the file, just to be sure the changes take. 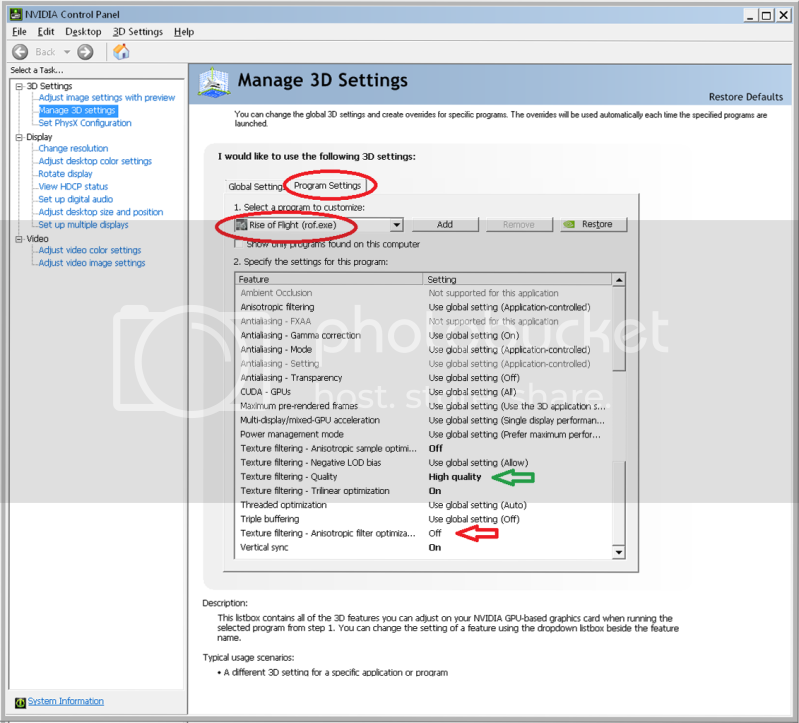 Go ahead and open the RoF settings menu, and please select the choices below in the screenshots. I can already hear many people saying, "Oh, I can't live without reflections", or "I love my trees!". I feel your pain. PLEASE select the options below just as a starting point, then run Rise of Flight, have a look around, and let us know if there is a difference from what you had before. THEN adjust the RoF.settings such as trees, shadows, reflections to suit your card, but leave the HDR-Mono Med selection alone. You should have a very good image with very little sacrifice to performance over all of the map and in the majority of dogfight situations, but this of course will depend on your graphics card. You may need to slide down the Landscape from high, etc if you have a 200 series card... However, as mentioned above, it works a charm with my mid-level 560Ti. 600 series cards should start with settings here, and gradually work up. Why not just create the profile in CP and then turn the aniso optimisation on in inspector? I only use the CP to create the original custom profile and do the rest in inspector (note you need to make one setting change for the profile to appear in inspector when you click on the house icon). Think of the series of images you see on your monitor as a result of a very complex production. 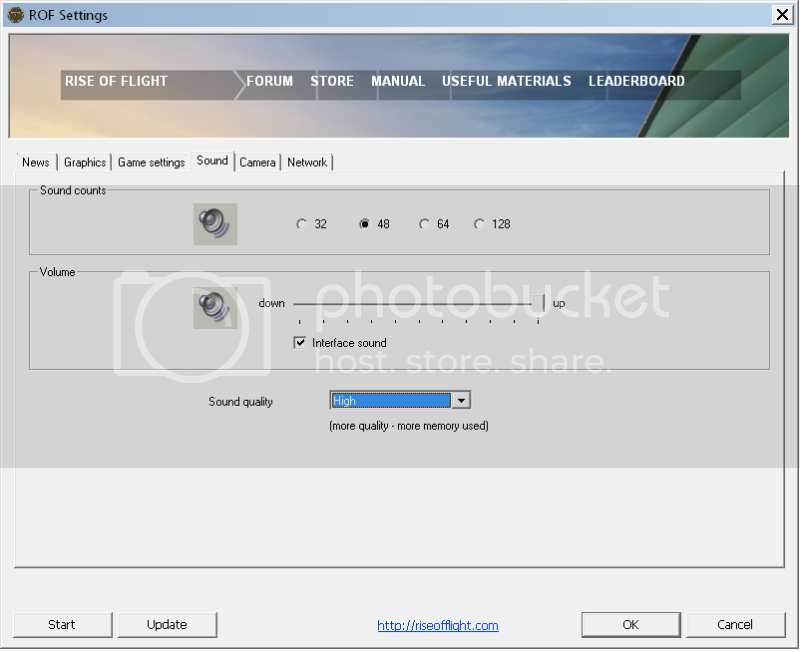 Any graphics setting that alters the image after it leaves the 'production area' of the game engine is in effect post-processing. Thus CP and Inspector are post-processors by definition. It is better to implement every graphics tweak you can in-game, at the source, to improve performance. Now, with monster graphics cards like 670/680, this isn't really a problem, but I don't have one of those. Seriously, screenshot your current settings and give these a try; unless you are running an 8800 you will not be disappointed. Salute Syndicate and thanks Bandy for a great job. I'm running 2 x 680's in SLI, will the settings stay the same? With that kind of power I imagine you can muscle past any graphics bottleneck, so you will not see much image improvement. That said, step Four and Five above, which outlines how to finally be able to turn Anisotropic Filter Optimization -- Off is very important, and I believe will improve render efficiency. Just do those two steps. This alone should yield higher framerates/smoothness, and maybe allow you to increase other settings if you choose, or enjoy the lower GPU temps. Also, someone over at RoF forum mentioned how before he was using Adaptive V-Sync, and had some stutter with TIR, but after using these settings he resolved that issue. I think there are many little solutions within these settings. As mentioned, this thread only provides a solid nVidia profile base (absent profile inefficiency) for you to start tweaking RoF settings to suit your card.